Discussion in 'iPhone and iPad Games' started by Echoseven, Jul 15, 2015. 'Tank Battle: Blitzkrieg!' recreates the first battles of World War II. On 1st September 1939 the German army marched into Poland, two weeks later the Soviets also invaded and the Polish army was crushed by 6th October. Over the coming months the Germans expanded their grip on Europe with further invasions of Denmark and Norway. On 10th May 1940 the Battle of France began after the German army entered the low countries of Belgium, Holland and Luxembourg. Within weeks the French army was forced to surrender and the British army had retreated at Dunkirk. To add to the French agony the Italian army also invaded Southern France in support of the Germans. The allied armies had some excellent tanks and soldiers but their strategy was flawed and their tactics dated and unable to deal with the German Blitzkrieg! ● High Definition World War II era graphics. ● Includes 17 Missions to play through. ● Play as the German in the 7 Mission First Strike tutorial campaign. 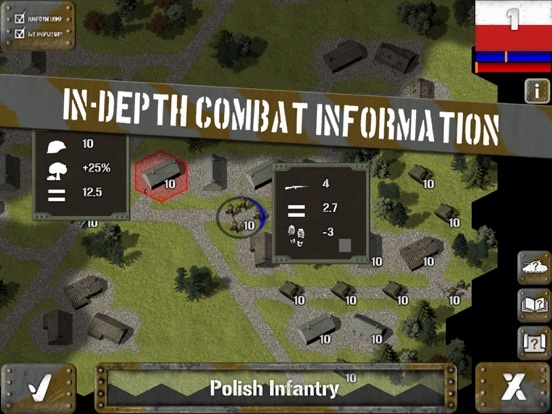 ● Play as the Polish in the 4 Mission Rising Storm Campaign. 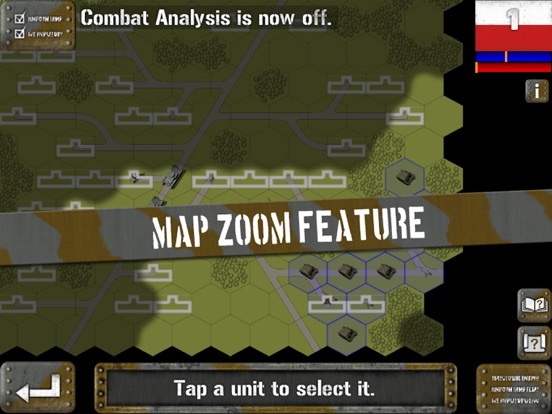 ● Play as the Germans in the 6 Mission Invasion! Campaign. 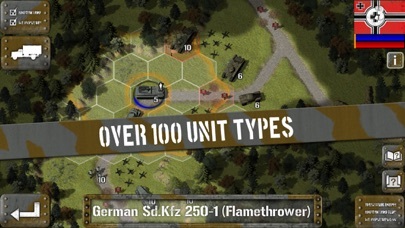 ● Over 100 unique units! 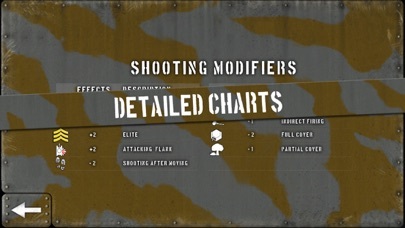 ● Four troop classes; Raw, Average, Veteran and Elite. 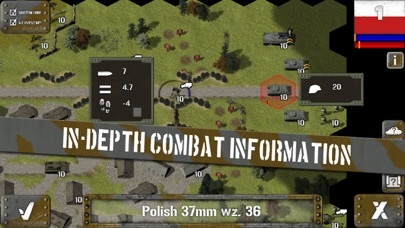 ● Other Game Features; detailed combat analysis, flank attacks, strategic movement, indirect fire, mounting and dismounting from vehicles, multi-level hills, minesweepers. ● Hours of game play. ● 6 Mission 'Exploit!' Campaign, playing as the Germans. ● 6 Mission 'Retreat!' Campaign, playing as the British. ● 6 Mission 'Southern Front' Campaign, playing as the Italians. 'Tank Battle: Blitzkrieg!' recreates the first battles of World War II. On 1st September 1939 the German army marched into Poland, two weeks later the Soviets also invaded and the Polish army was crushed by 6th October. Over the coming months the Germans expanded their grip on Europe with further invasions of Denmark and Norway. On 10th May 1940 the Battle of France began after the German army entered the low countries of Belgium, Holland and Luxembourg. Within weeks the French army was forced to surrender and the British army had retreated at Dunkirk. To add to the French agony the Italian army also invaded Southern France in support of the Germans. The allied armies had some excellent tanks and soldiers but their strategy was flawed and their tactics dated and unable to deal with the German Blitzkrieg! ● High Definition World War II era graphics. ● Includes 17 Missions to play through. ● Play as the German in the 7 Mission ‘First Strike’ tutorial campaign. 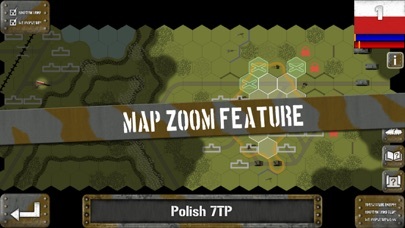 ● Play as the Polish in the 4 Mission ‘Rising Storm’ Campaign. 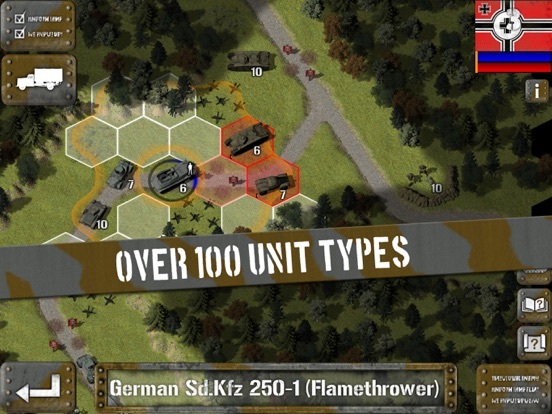 ● Play as the Germans in the 6 Mission ‘Invasion!’ Campaign. ● Over 100 unique units! ● Four troop classes; Raw, Average, Veteran and Elite. 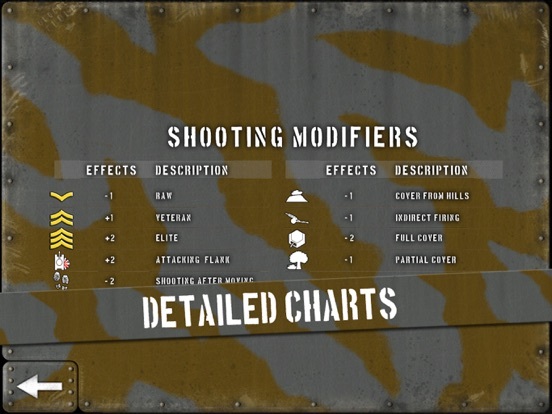 ● Other Game Features; detailed combat analysis, flank attacks, strategic movement, indirect fire, mounting and dismounting from vehicles, multi-level hills, minesweepers. ● Hours of game play. ● Map zoom. ● Additional Purchasable Campaigns. Purchasable Extra Content: ● 6 Mission 'Exploit!' Campaign, playing as the Germans. ● 6 Mission 'Retreat!' Campaign, playing as the British. ● 6 Mission 'Southern Front' Campaign, playing as the Italians.